Wine Cheese Spread 2 oz. 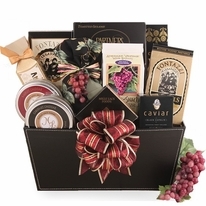 Give the gift of a gourmet wine and cheese night! 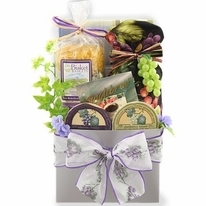 The Vineyard Wine Themed Gift has all of the classic fixings of wine baskets with a twist. 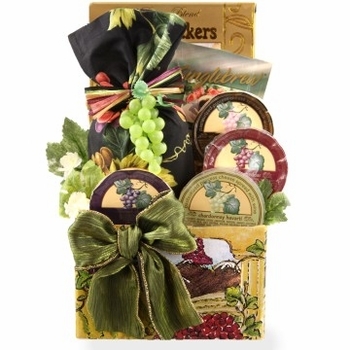 Each of these wine gift baskets has a package of Wine Glace’, which is mix that can be added to wine to make a Wine-A-Rita. Enjoy this new drink with cookies, cheddar cheese spread, and crackers for a delightful evening. All of these goodies are wrapped up in a vineyard box, so it’s ready to give as a gift to any wine or cheese lover you know. 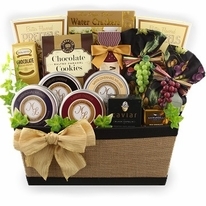 This wine gift basket does not have to have an adult signature for delivery. 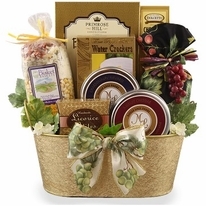 Every one of our gourmet food gift baskets are assembled at the time of your order. This ensures your recipient gets the freshest gift possible.